New model! TV for Europe and North America: DVB-T, DVB-T2, DVB-C, PAL, NTSC, ATSC and clear QAM! Watch and record analogue or over-the-air DVB-T and DVB-T2 TV (plus ATSC TV in North America), in a window or full screen on your PC or laptop monitor. Includes a built in hardware encoder does all the hard work so your PC doesn't have to! Great for recording old VHS tapes too! Includes an image stabilizer and high performance video encoder to give the best results recording from VHS tapes. Record from the A/V inputs (S-Video, composite and left/right audio) with hardware MPEG-2 encoding. Great for recording old VHS tapes. WinTV-HVR-1975 includes the new WinTV v8 application: Easy to install and easy to use! Media Center compatible. Watch and record TV with Microsoft’s Windows 7 or 8 Media Center. Record analogue TV programmes to your PC's hard disk using its built in hardware MPEG-2 encoder. 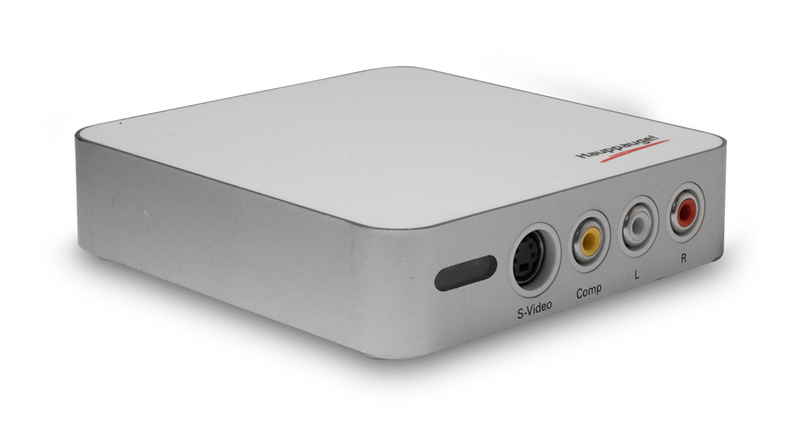 Turn your laptop or PC into a high end Digital Video Recorder! Watch DVB-T, DVB-T2 or DVB-C or analogue TV programs on your PC screen, pause TV with instant replay. Listen to FM and DVB-T radio. Record digital TV programmes in the original digital quality. New WinTV v8 application and remote control included. Record high quality analogue TV. WinTV-HVR-1975’s builtin hardware MPEG-2 encoder allows your PC to run at full speed while recording perfectly encoded videos. 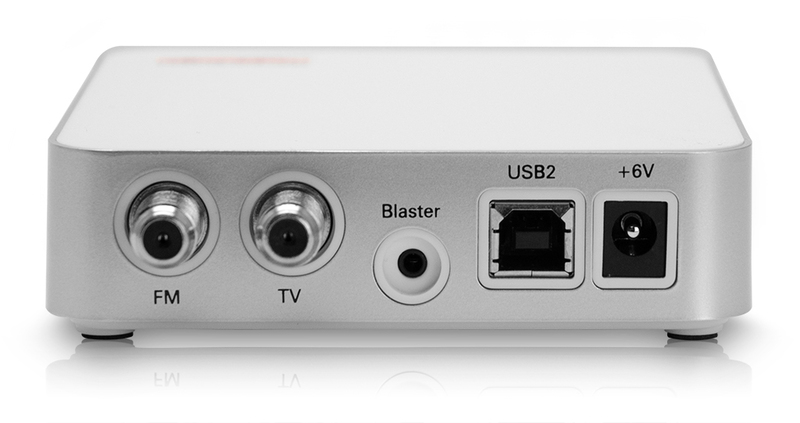 Schedule TV recordings from a satellite or a cable TV set top box with the built-n A/V inputs. And the IR Blaster can change set top box channels automatically! To use the WinTV-HVR-1900 for TV with the Windows XP Media Center application a Media Center certified DVD or MPEG-2 software decoder is required. If you are building a Media Center PC, refer Microsoft's web site for a list of Media Center certified DVD decoders. The Windows Media Center application is included with Windows XP Media Center, Windows Vista Ultimate and Windows Vista Home Premium editions only. The enclosed remote control is not MCE certified and does not replace Media Center remote control. Wall mounted power supply & USB cable. Remote Control including Batteries & IR Blaster Cable.